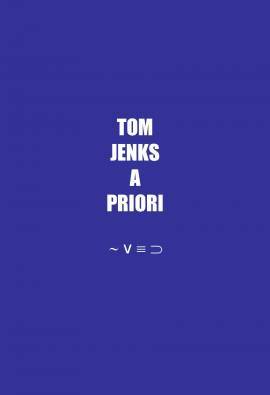 Tom Jenks’ first collection is a tour de force. A mixture of the playful and the serious. A Priori is, in some respects, quintessentially English and on the other hand more modern than anything else around; exploring the themes of identity (on and off the internet) and possible futures with the advent of the long tail. Tom Jenks lives, works and writes in Manchester. He is the editor of zimZalla and one of the organisers of The Other Room.